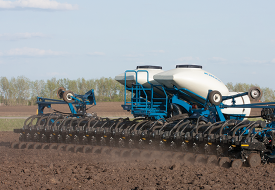 Introducing the newest planter in the Kinze line-up, the 4700. 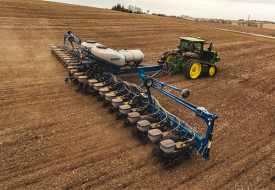 This planter will be available in a 36 row 20" configuration with a 3-section frame and 30 total degrees of toolbar flex and superior ground contact. 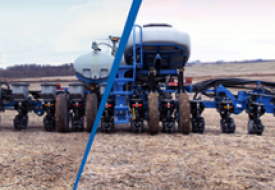 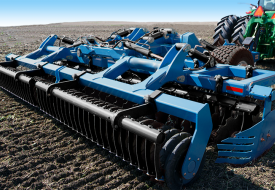 Available for planting 2020, the 4700 will be equipped with Kinze’s latest planter technologies – the Blue Vantage™ display, Blue Drive™ electric drive and True Depth™ down force, which deliver industry-leading control and precision with ease of use. 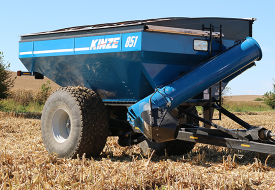 The frame is durable enough to carry 120-bushel bulk seed and will include hydraulic weight transfer to reduce compaction and have the option to include 600-gallon liquid fertilizer .